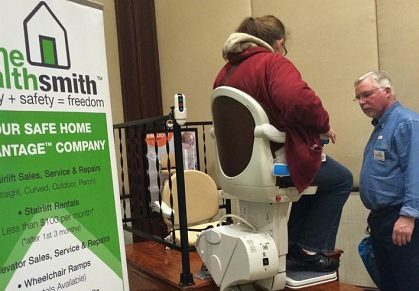 With customer satisfaction and safety our top priority, Home Healthsmith offers a complete solution to ensure homes function in a way that reflects the residents changing needs with the SafeHome Install Advantage™. We’re meticulous throughout the installation process, valuing greatly the clients safety in the installation of all equipment. We’ll install anything from in home elevators to bathroom safety products with the highest attention to detail in order to help create the safest and most convenient environment possible. Determination of the exact type of home and safety equipment suited for the project from elevators to accessibility products. A complete outline of services will be provided to the contractor and/or homeowner. 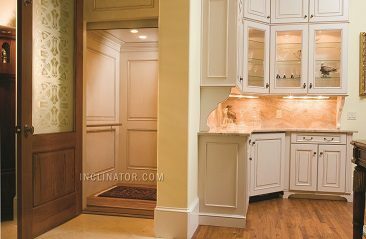 Work with the builder when needed to establish and maintain a timeline for delivery and installation. Work with the homeowner to install home safety mobility upgrades. 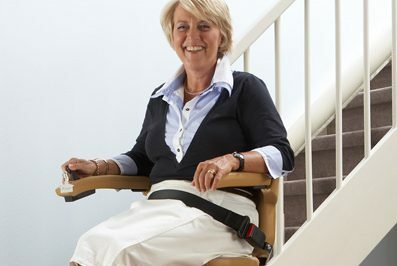 Once home and safety mobility products are installed we demonstrate and train the client on its use. Factory trained technicians meticulously install all equipment. Once elevator installations are complete, an independent third party inspector will verify that the work complies with all code standards. Once an elevator is turned over to the homeowner, Home Healthsmith will schedule regular service appointments to verify equipment is operating properly. Customer satisfaction surveys are sent and follow-ups are completed properly. At the conclusion of the one (1) year warranty on all elevators, VPL’s and stairlifts, maintenance programs are available and presented. Click here to contact Home Healthsmith to get The SafeHome Audit™, a comprehensive home safety assessment for products, services and modification recommendations. Located in Portsmouth RI, we will travel to all of RI, Southeastern MA and Eastern CT.